This Triumph was new delivered in 1964. 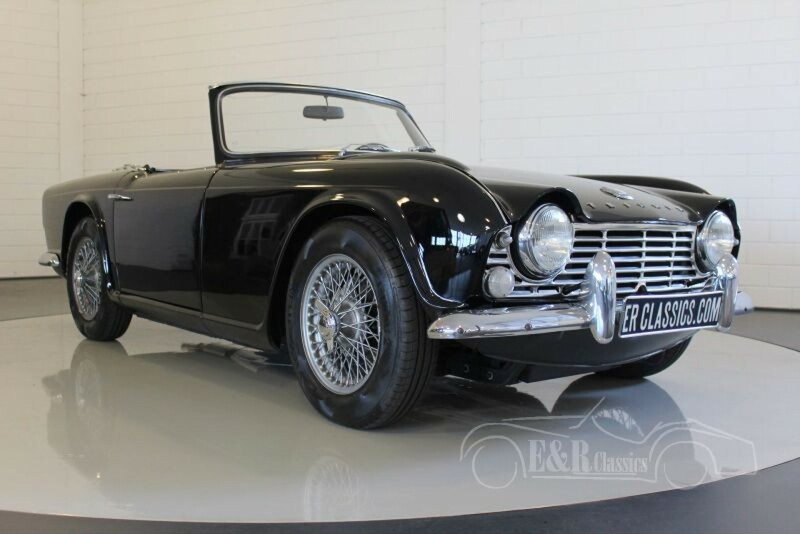 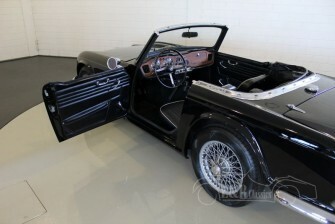 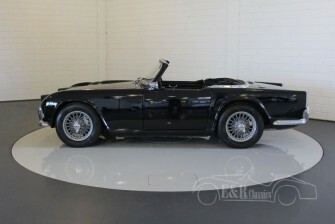 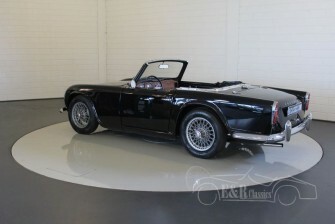 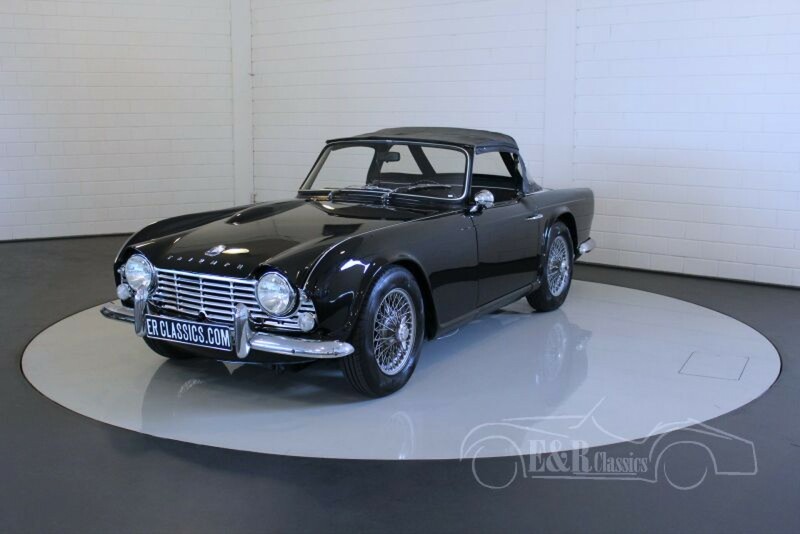 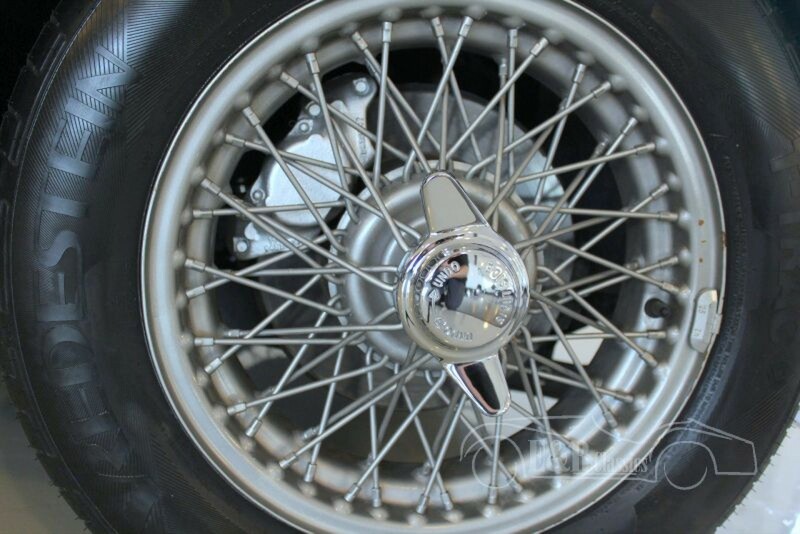 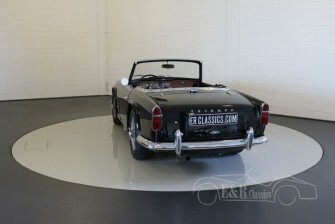 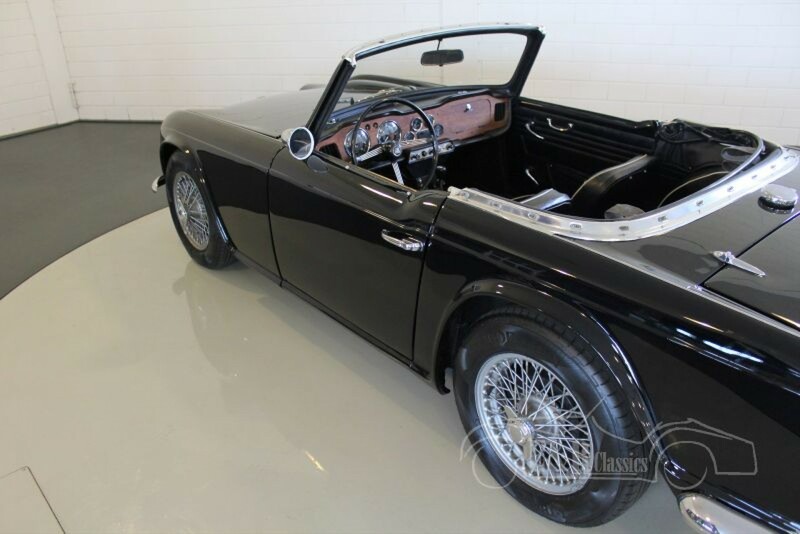 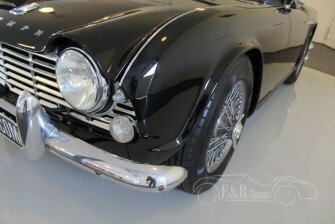 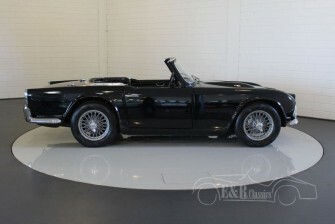 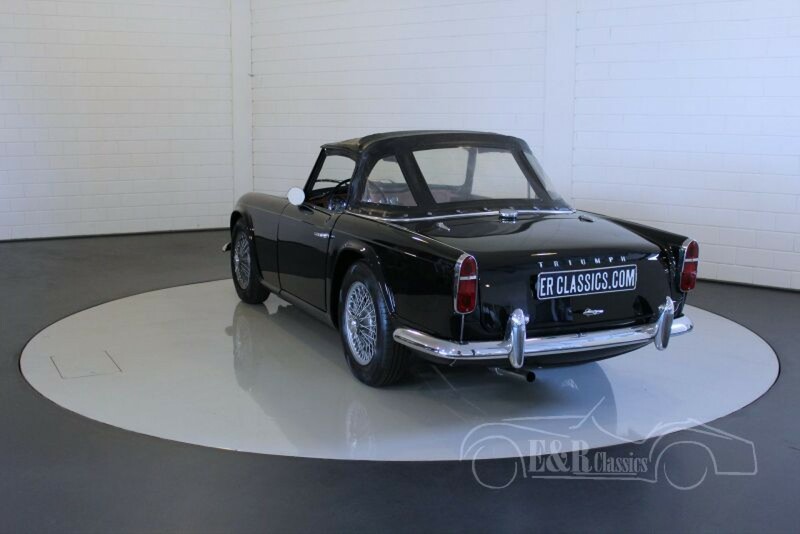 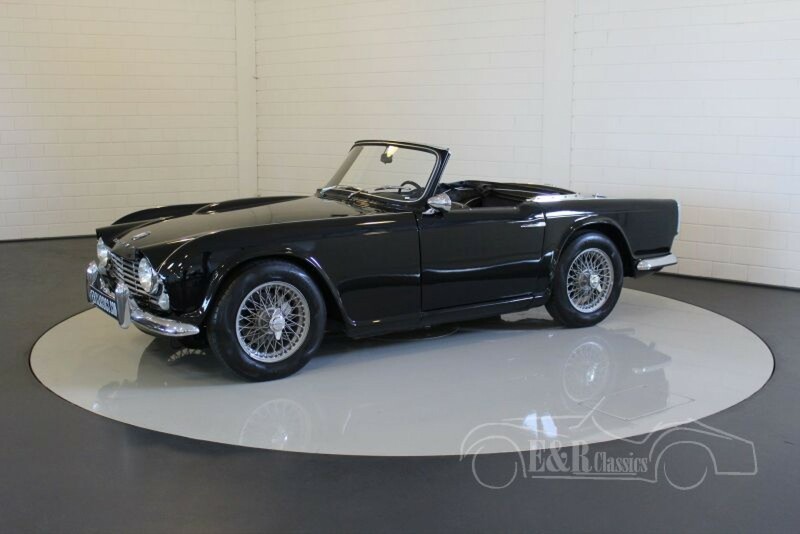 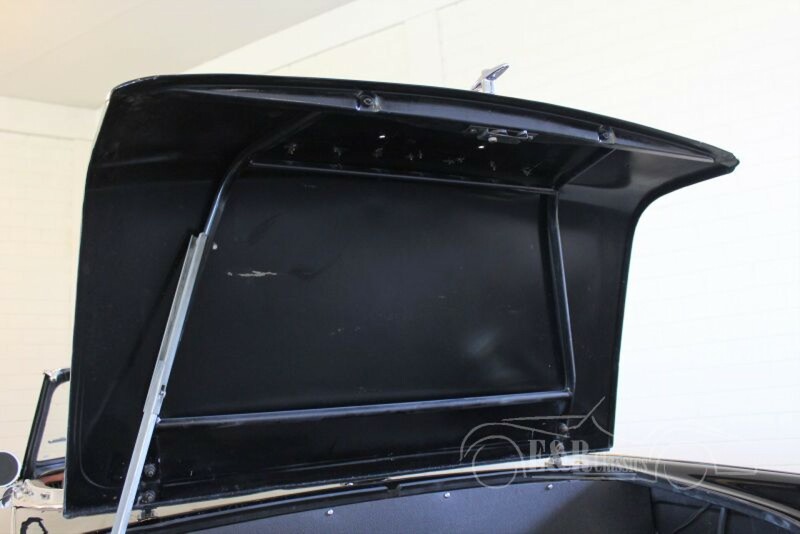 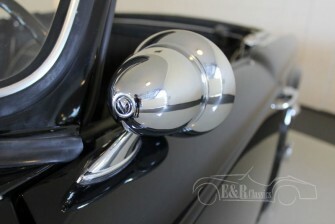 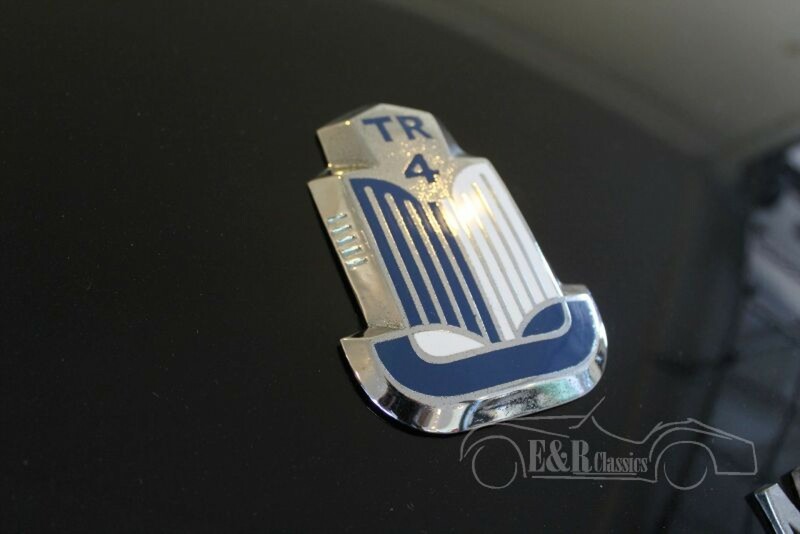 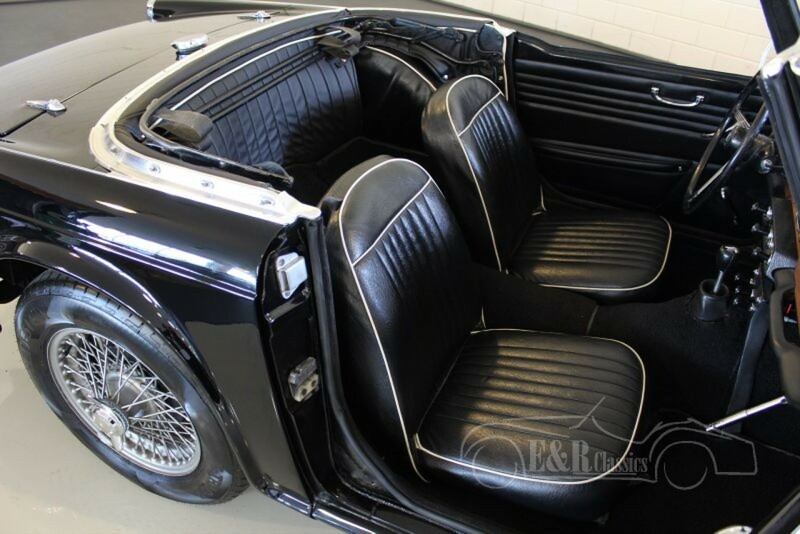 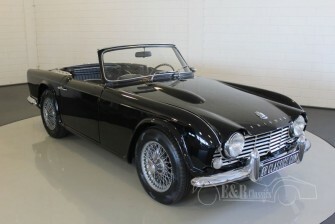 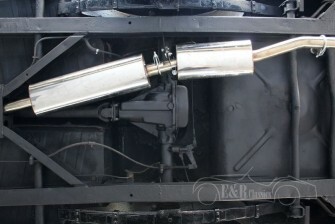 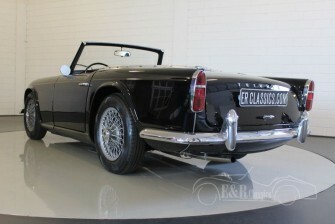 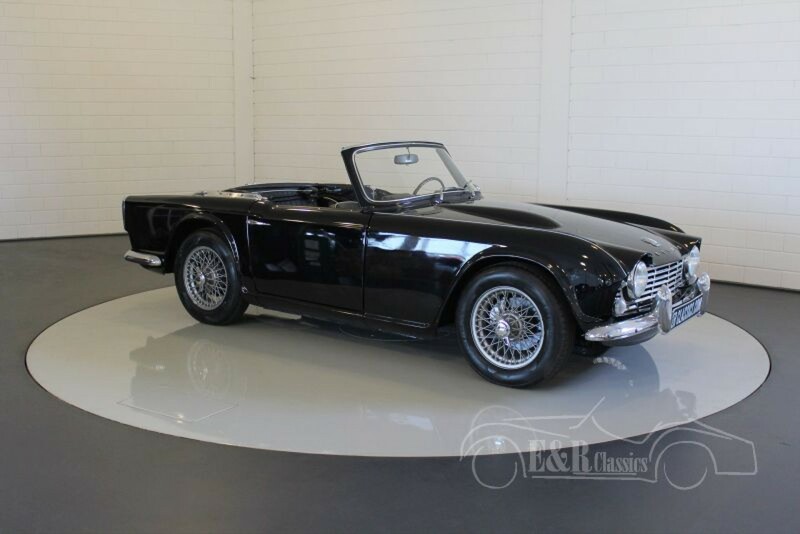 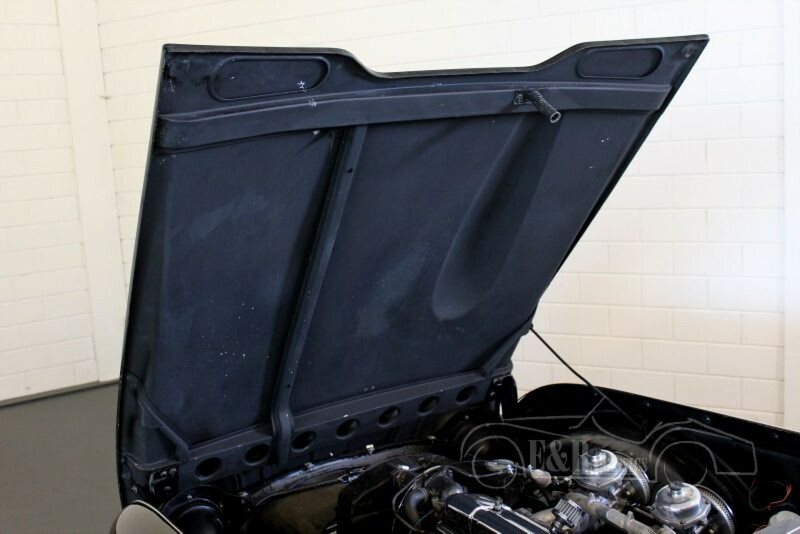 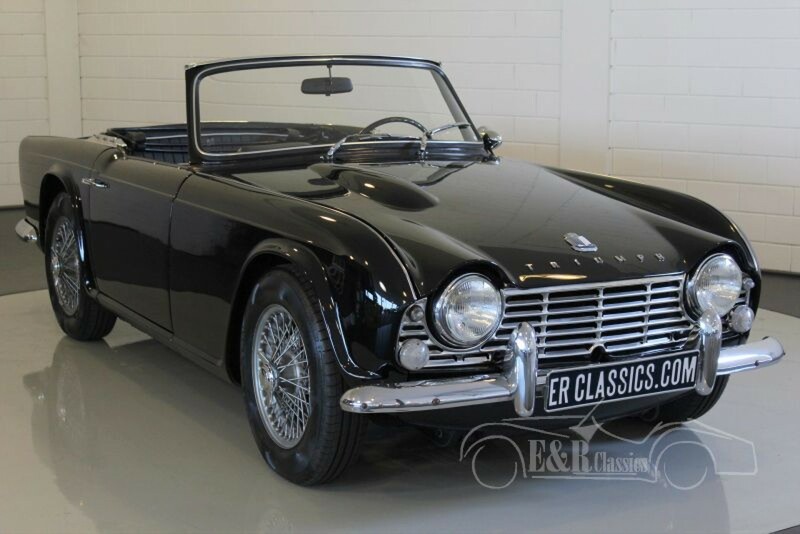 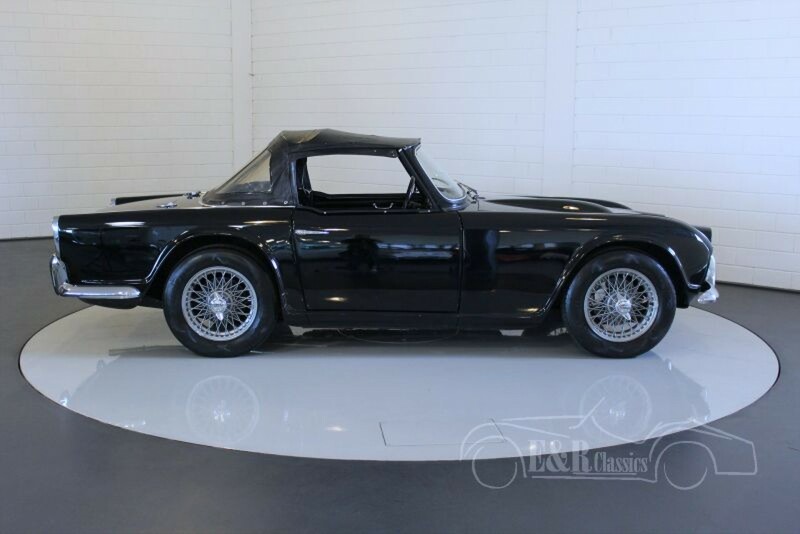 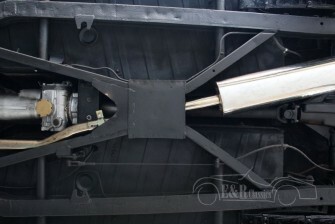 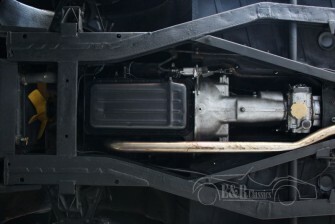 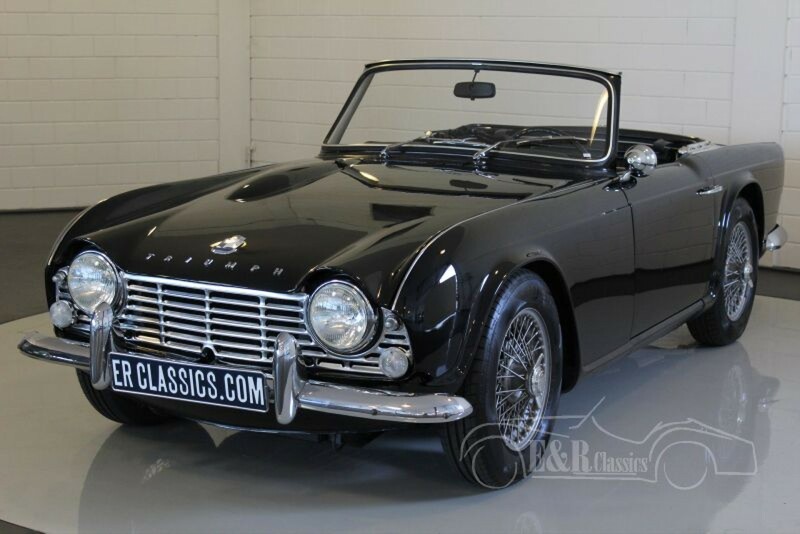 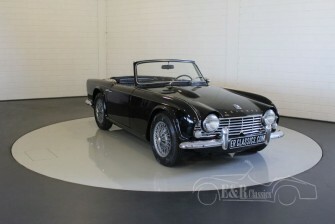 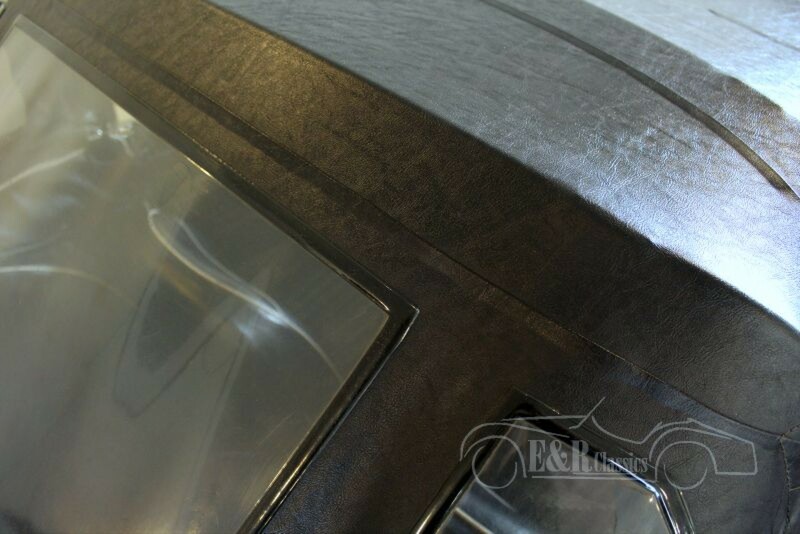 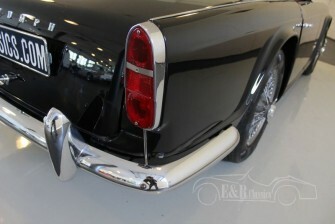 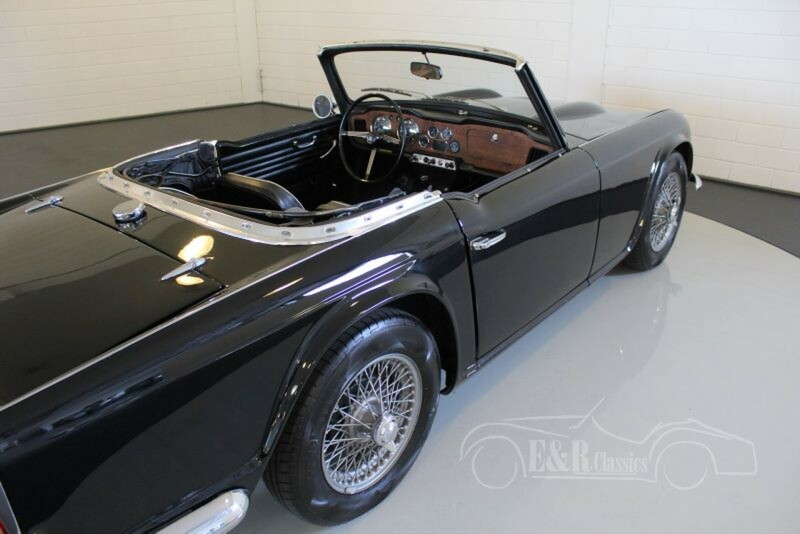 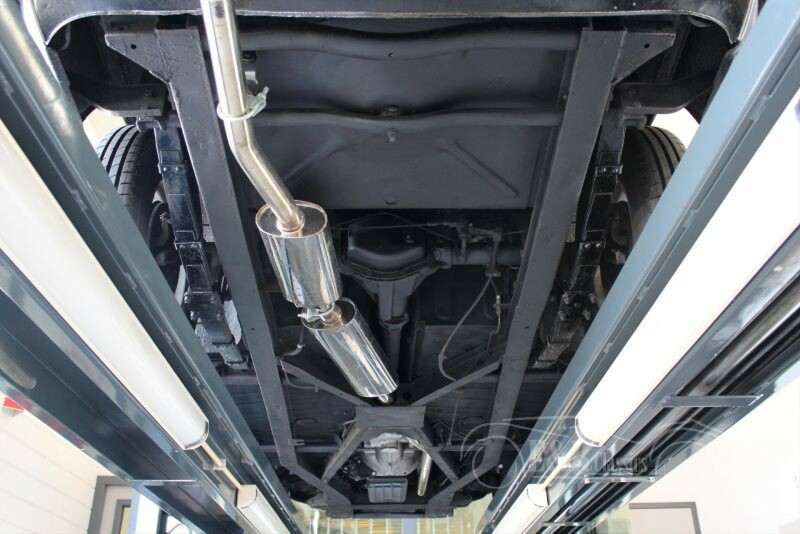 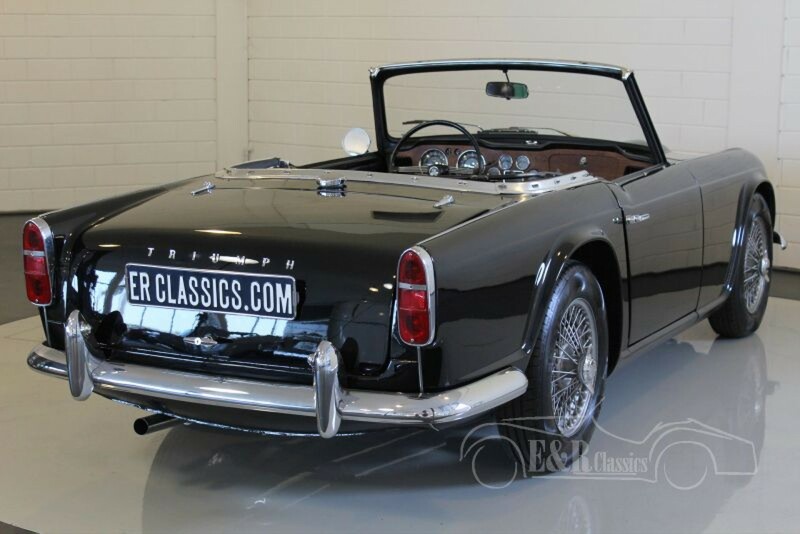 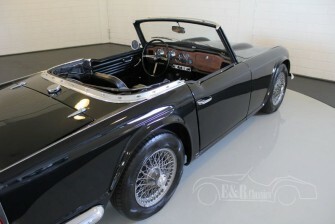 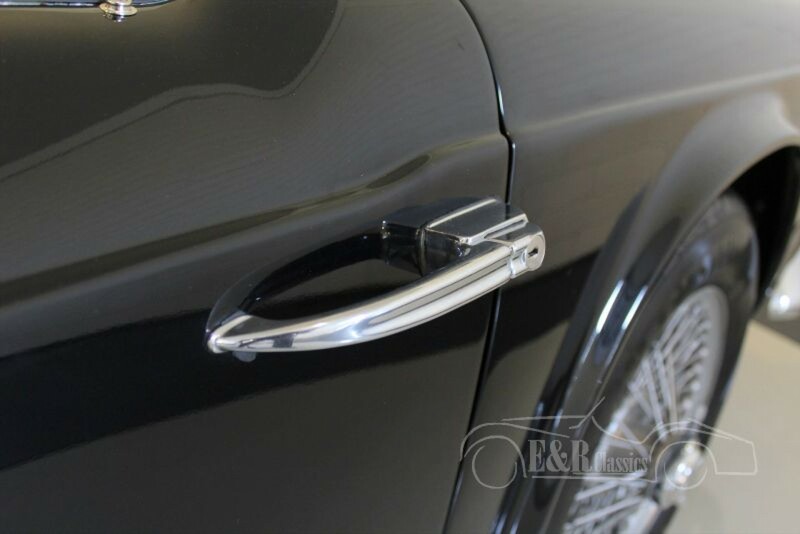 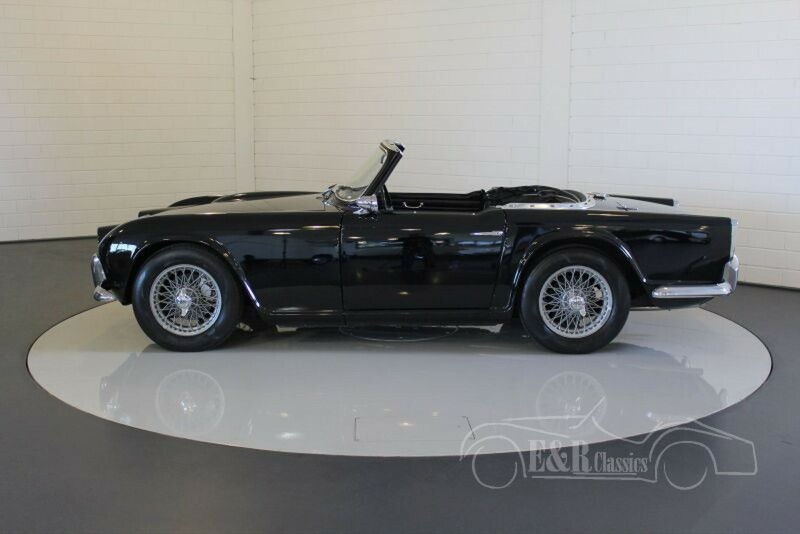 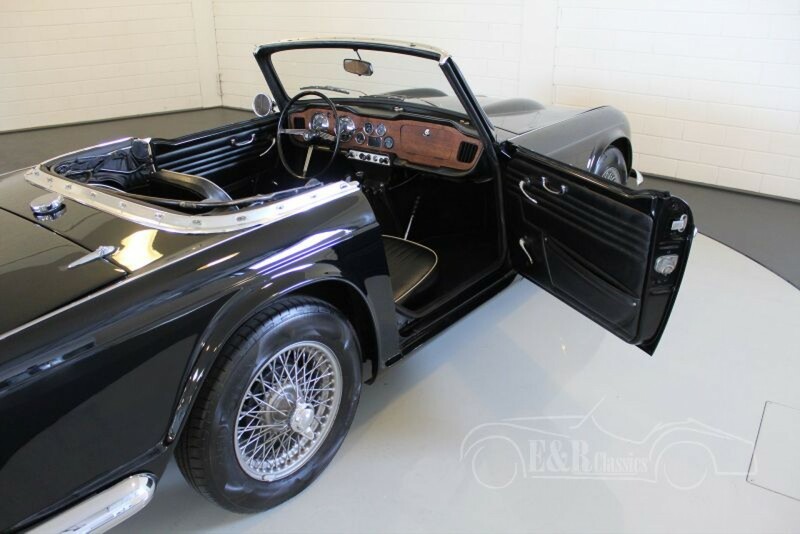 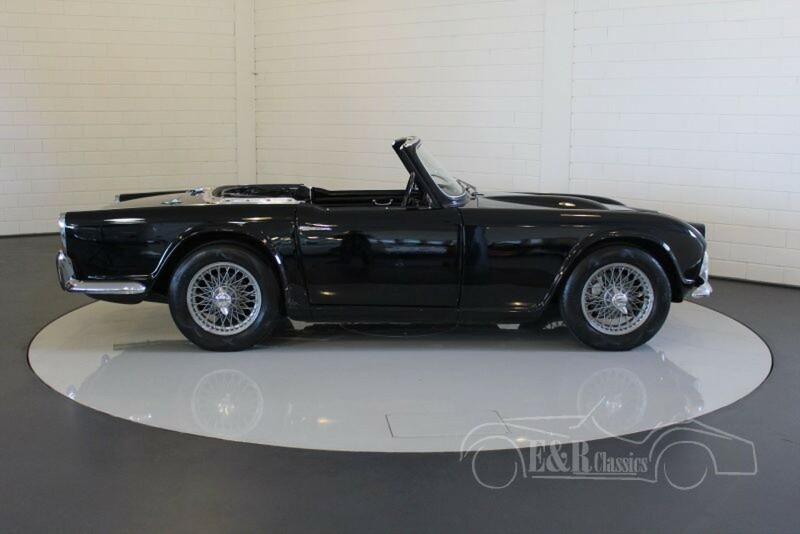 The TR4 drives great and is provided with a fabulous black paint and wire wheels with wings. 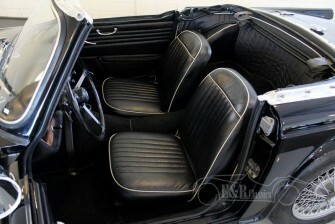 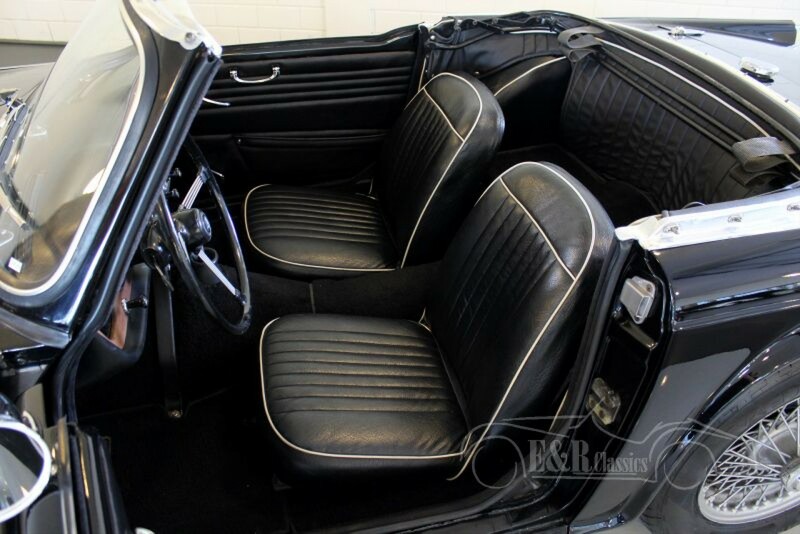 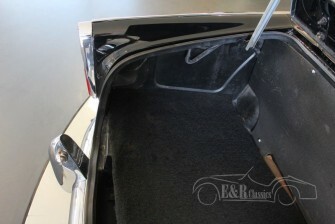 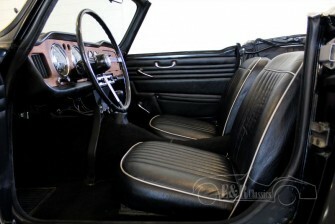 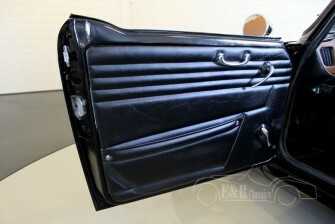 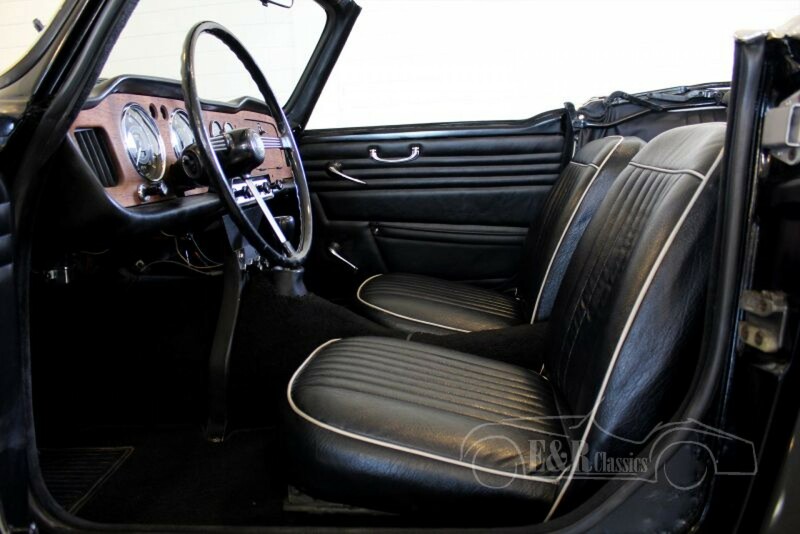 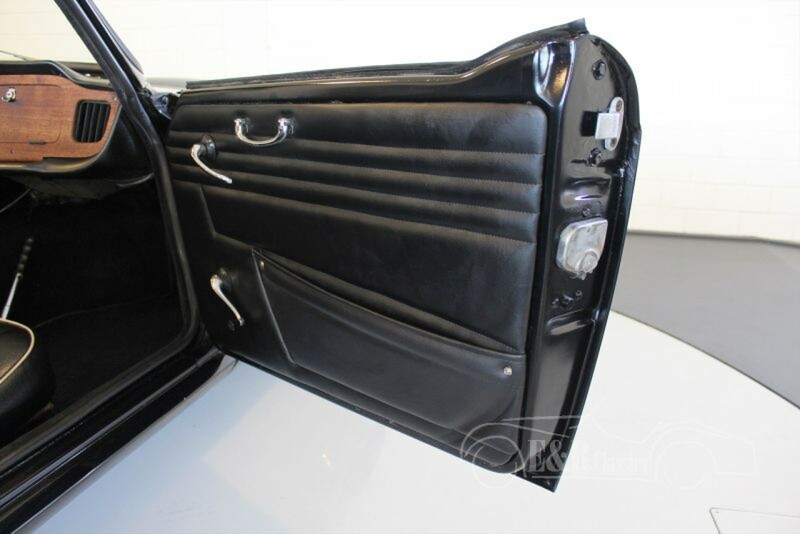 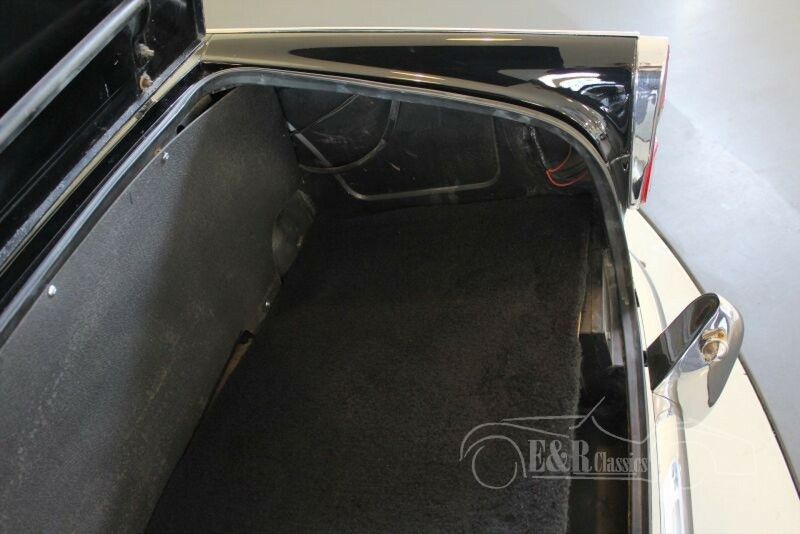 The seats are furnished with black leather with white piping. 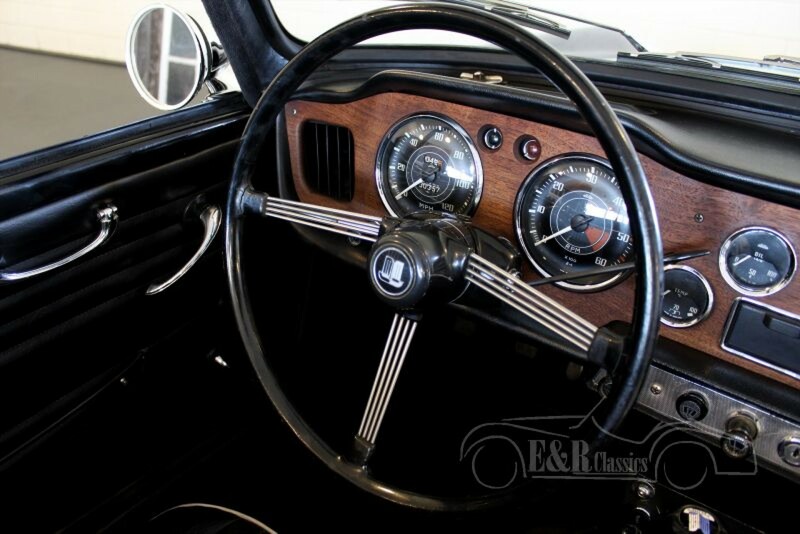 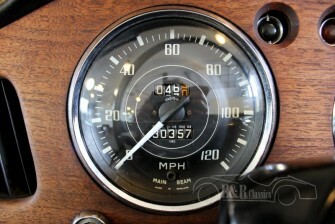 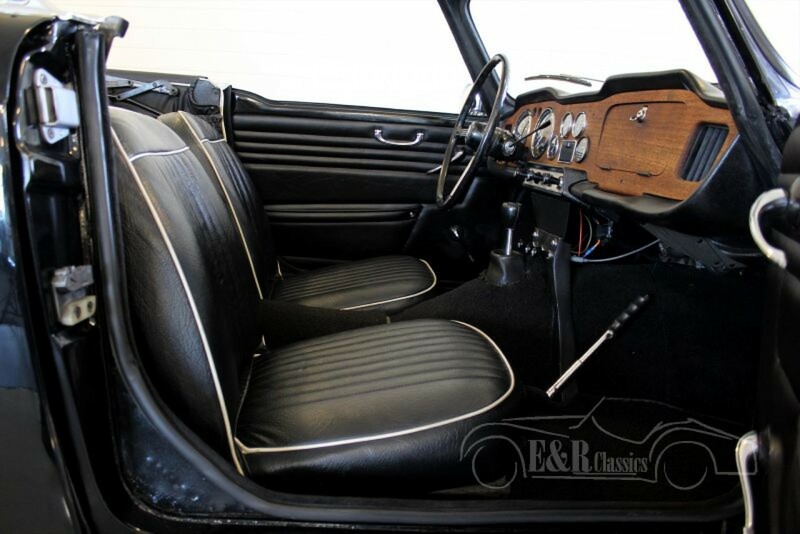 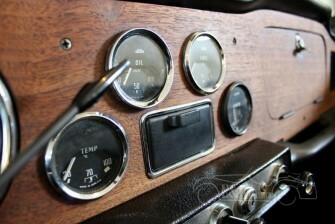 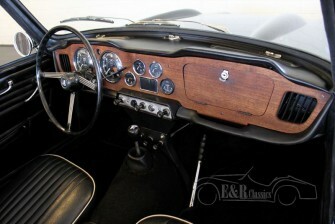 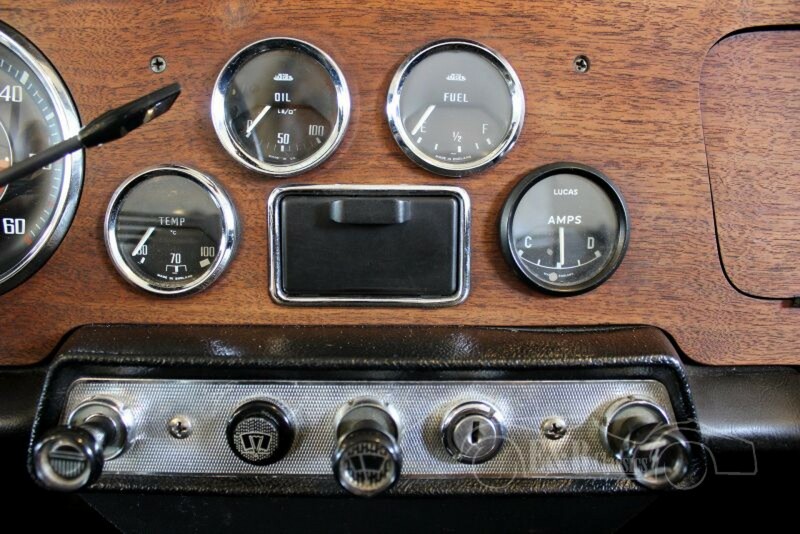 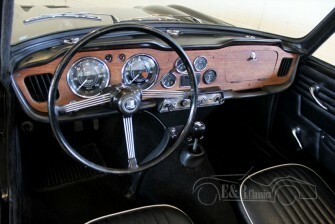 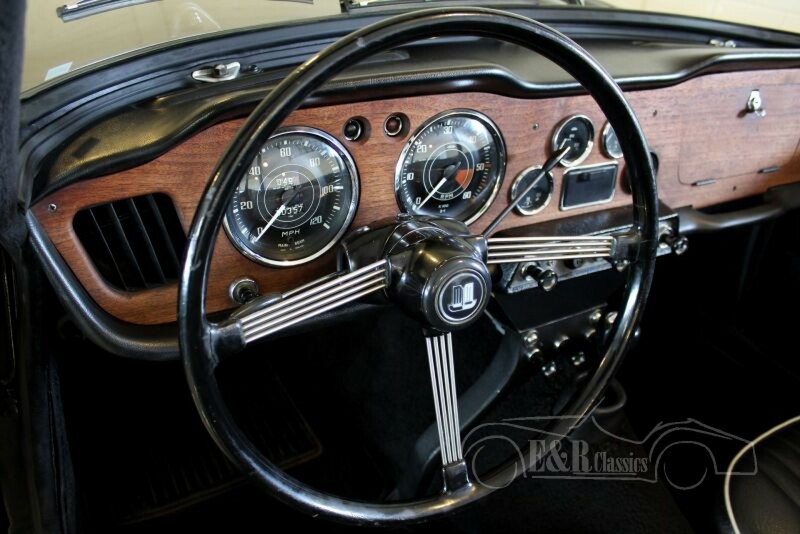 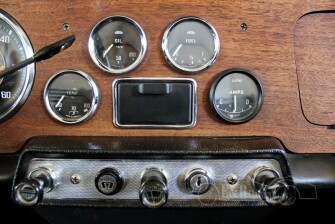 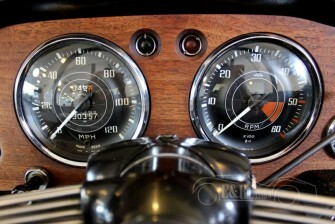 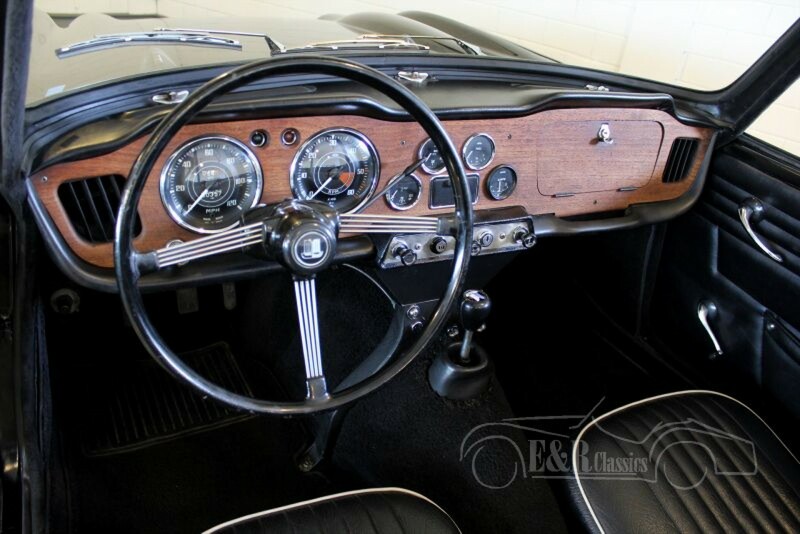 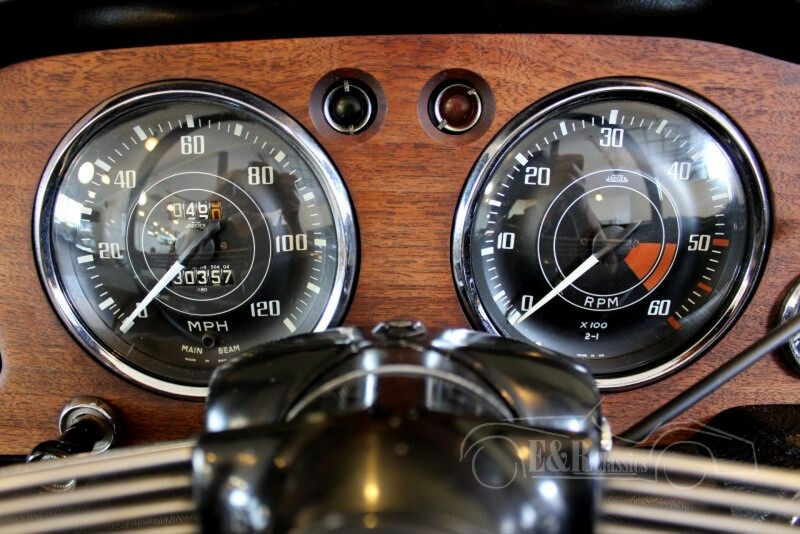 The interior has a marvellous wooden dashboard with chrome clocks and the original steering wheel. 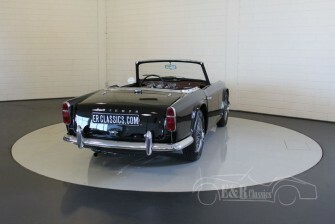 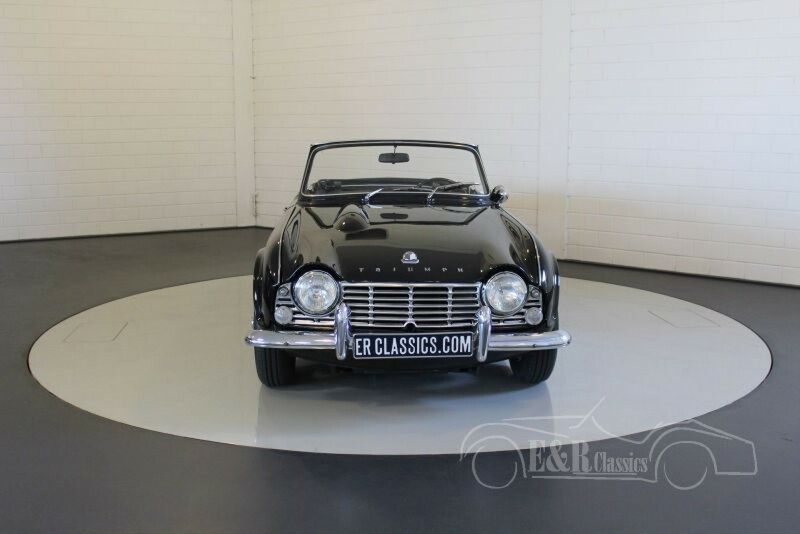 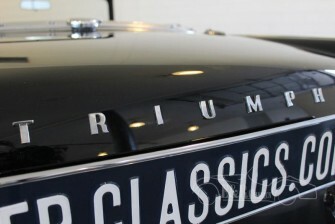 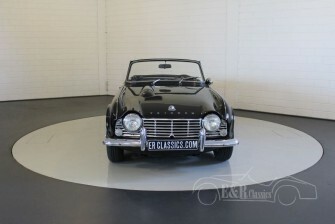 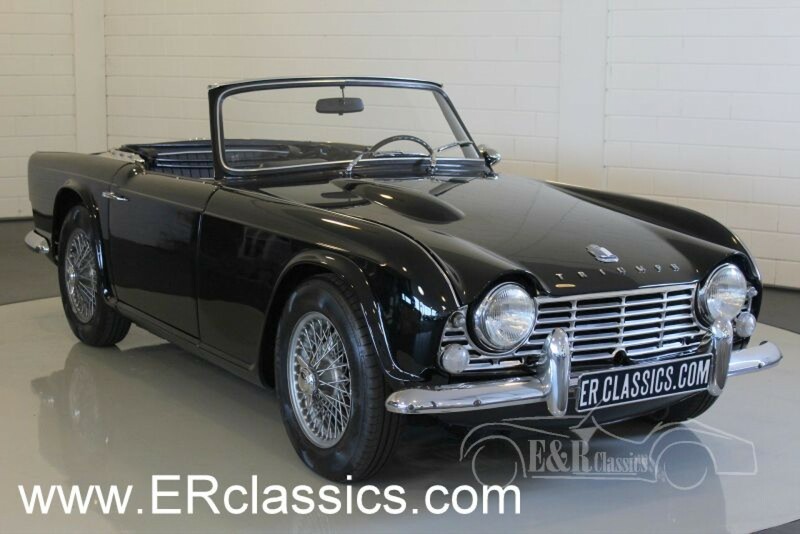 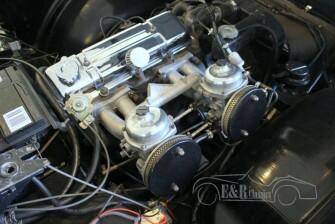 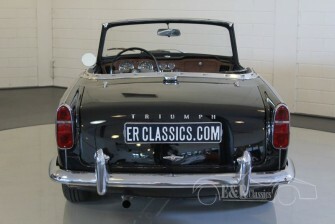 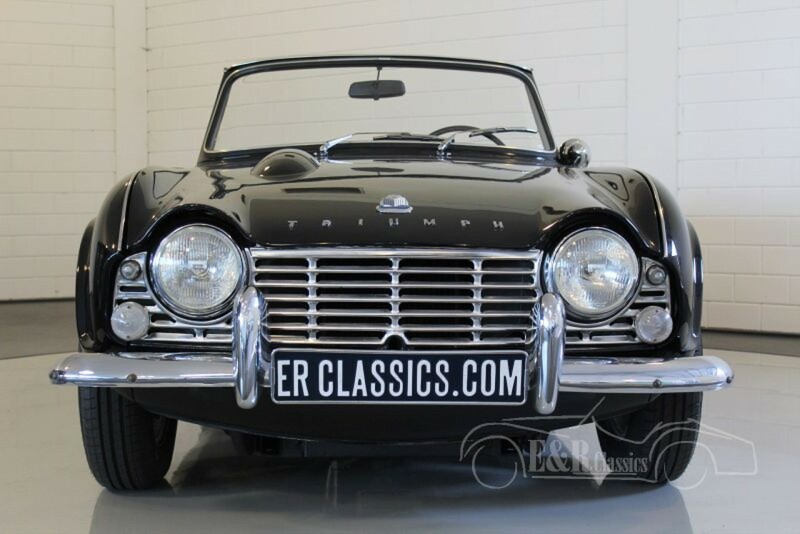 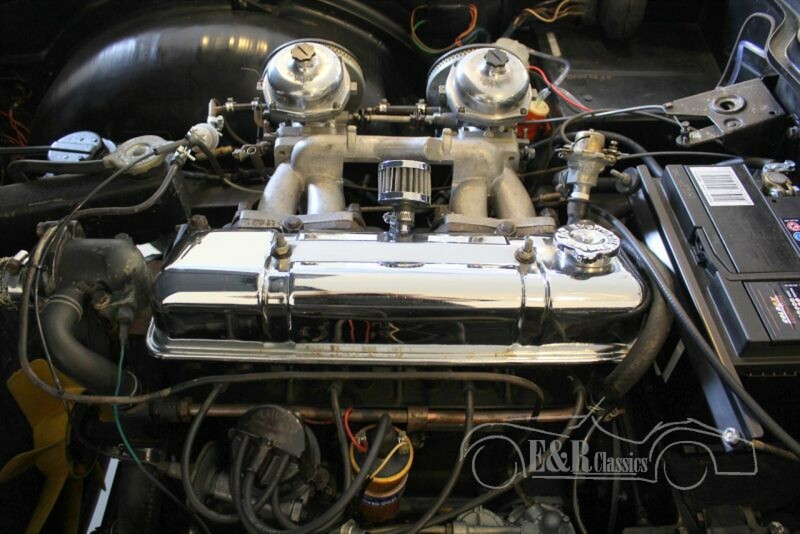 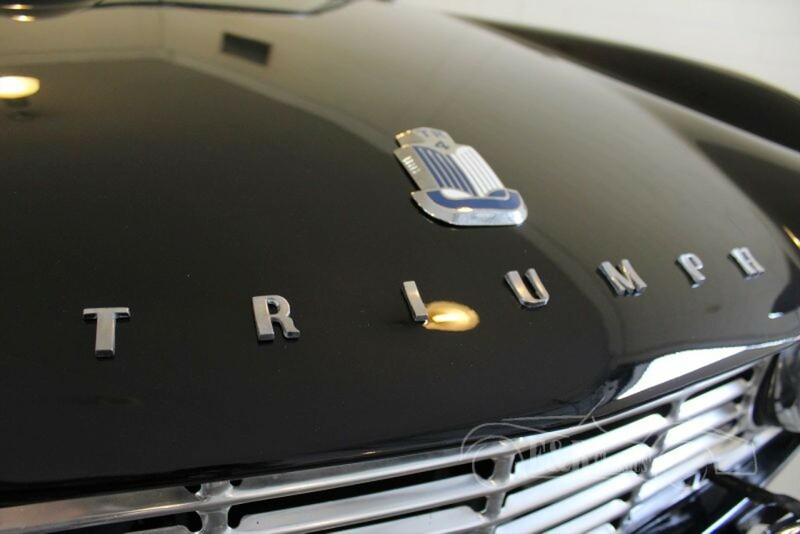 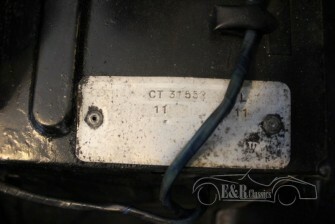 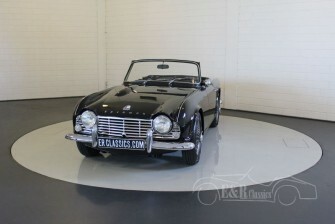 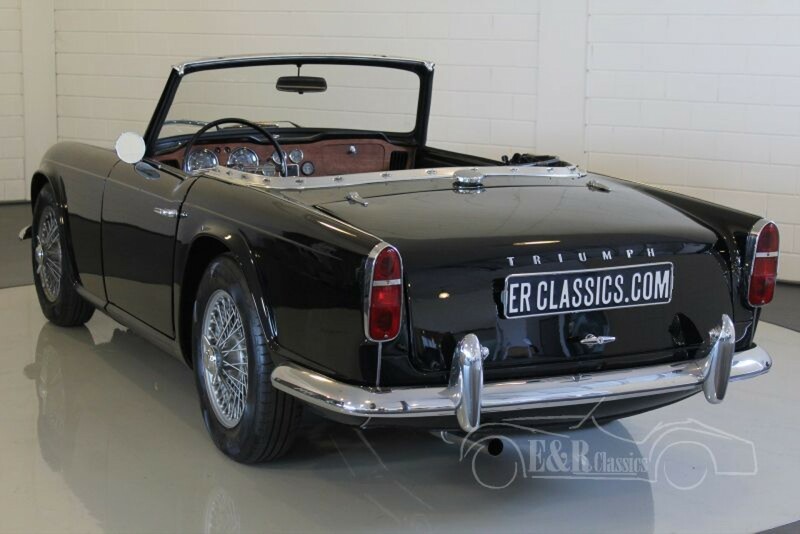 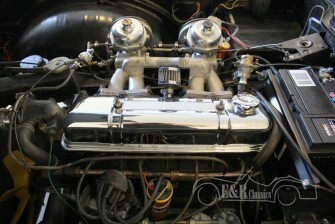 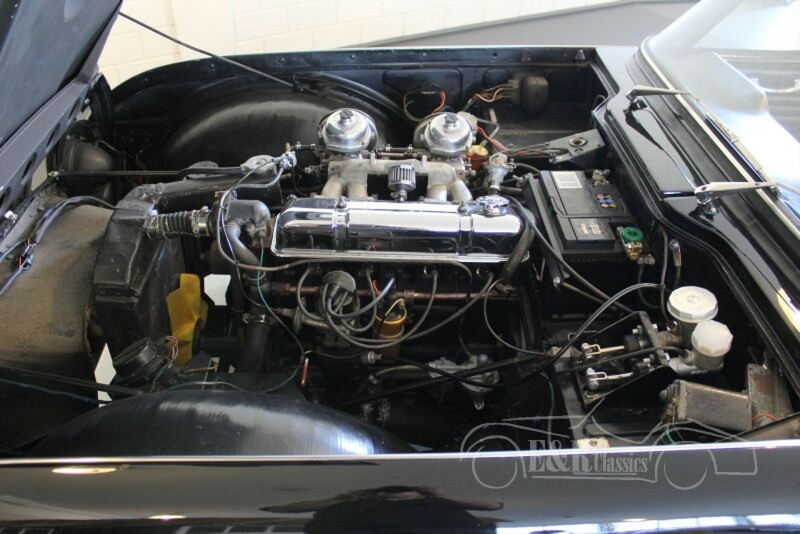 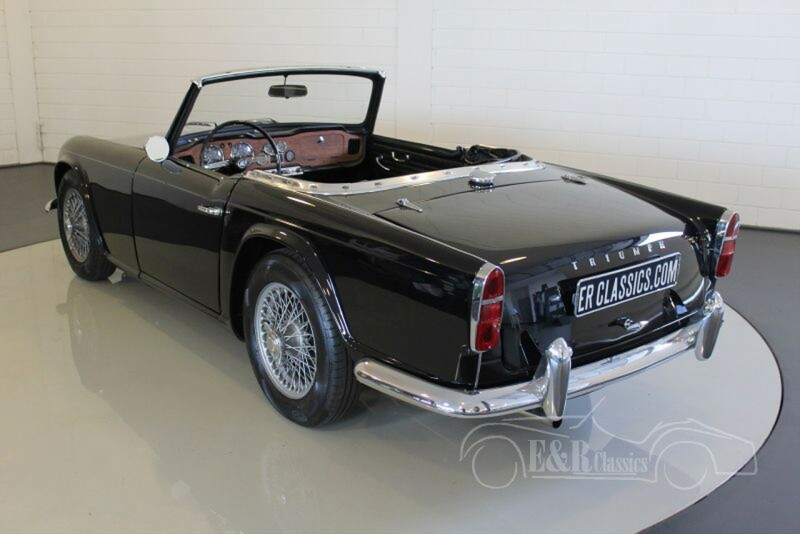 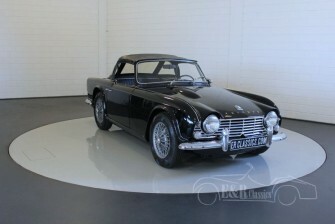 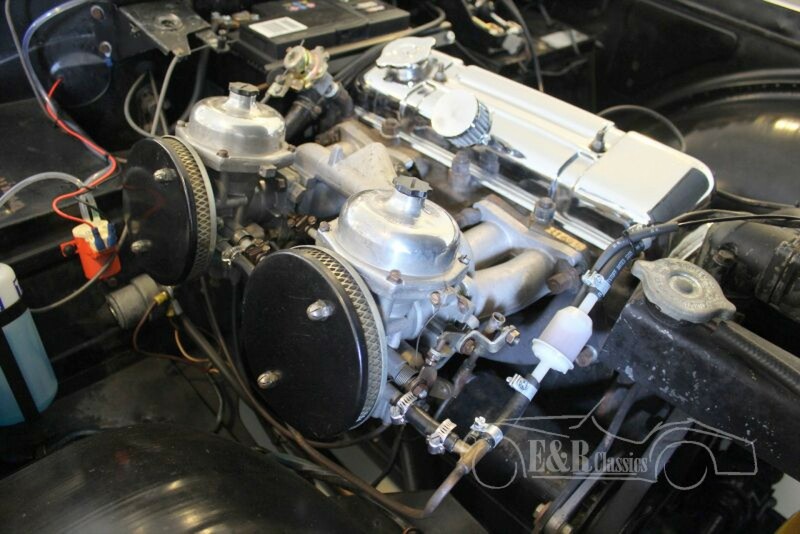 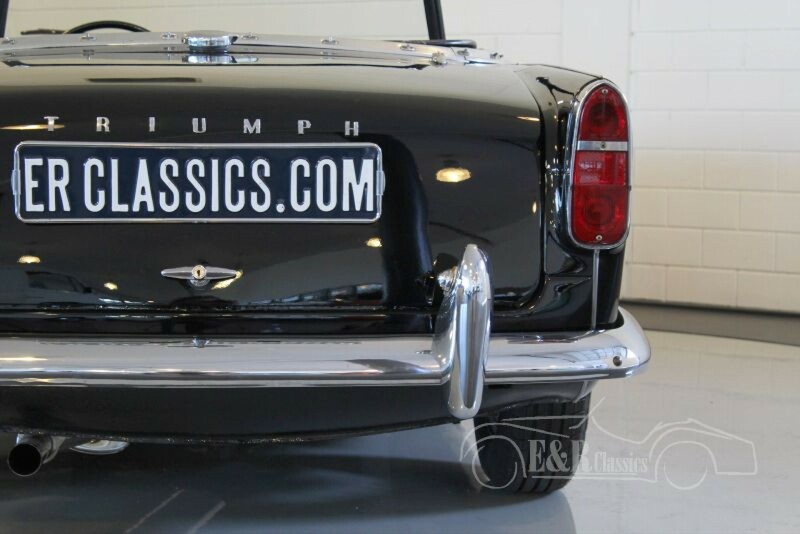 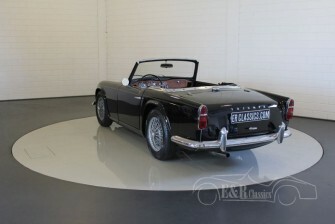 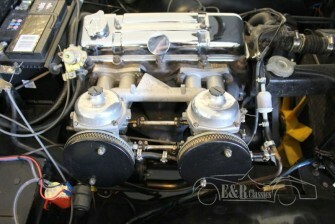 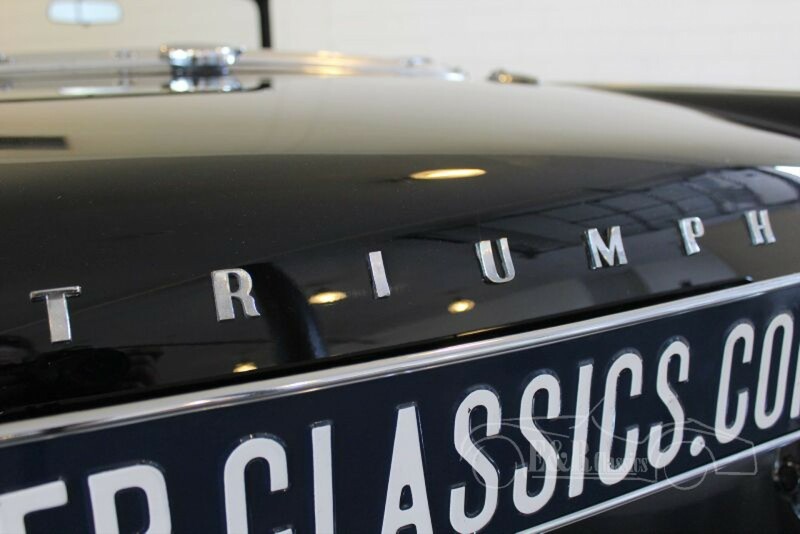 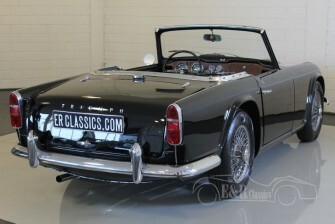 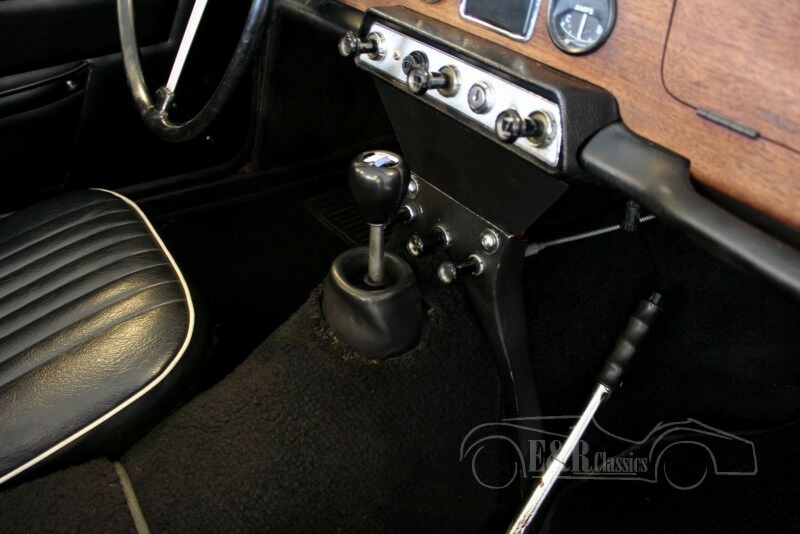 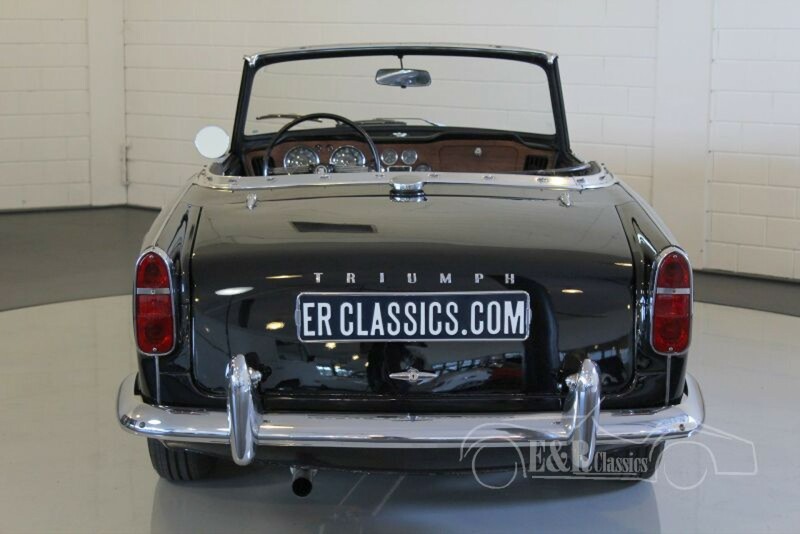 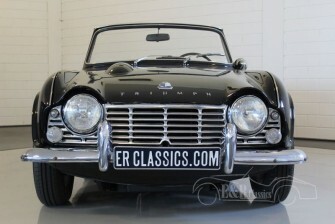 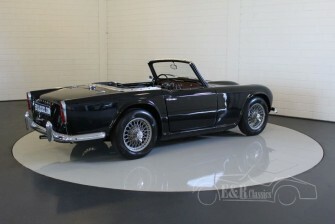 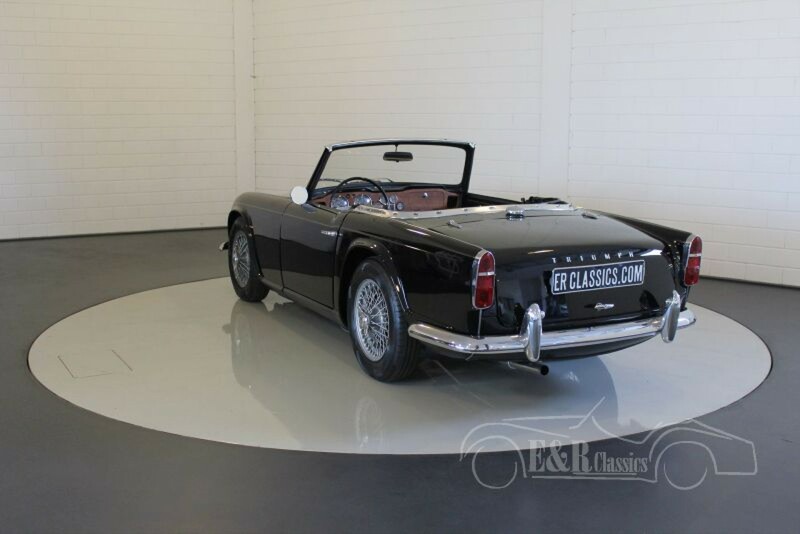 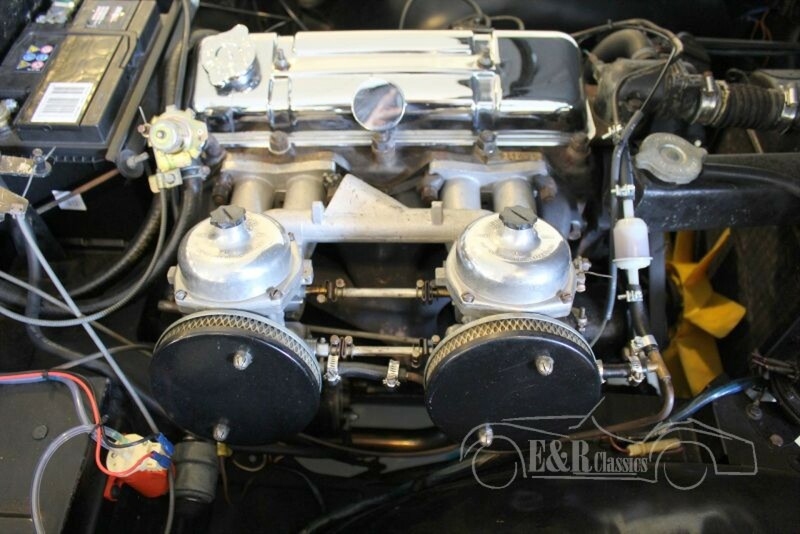 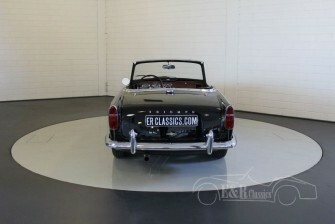 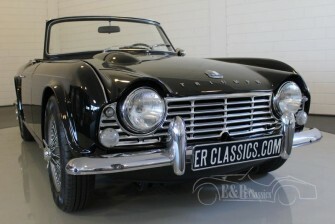 This Triumph drives perfect and has the overdrive option, which makes driving even more pleasant. 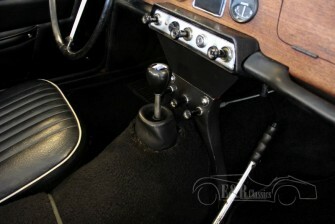 Recently the overdrive was fully revised. 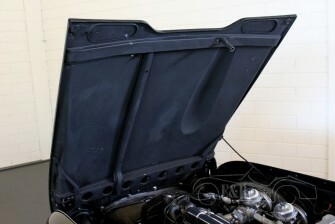 The car also has had major maintenance and the brakes are renewed. 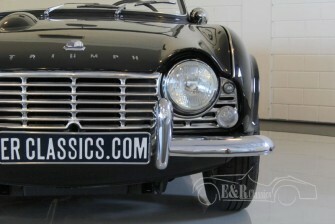 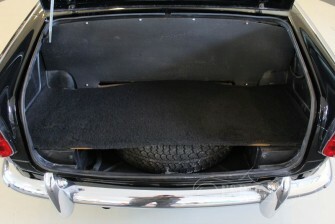 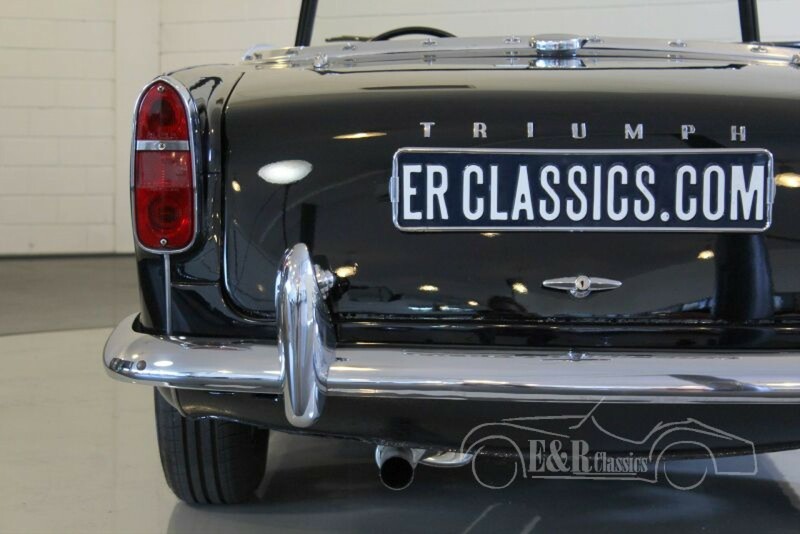 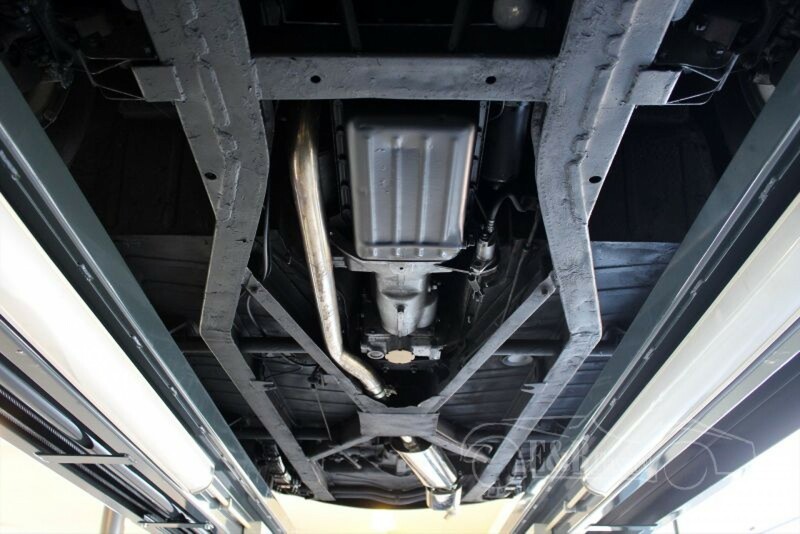 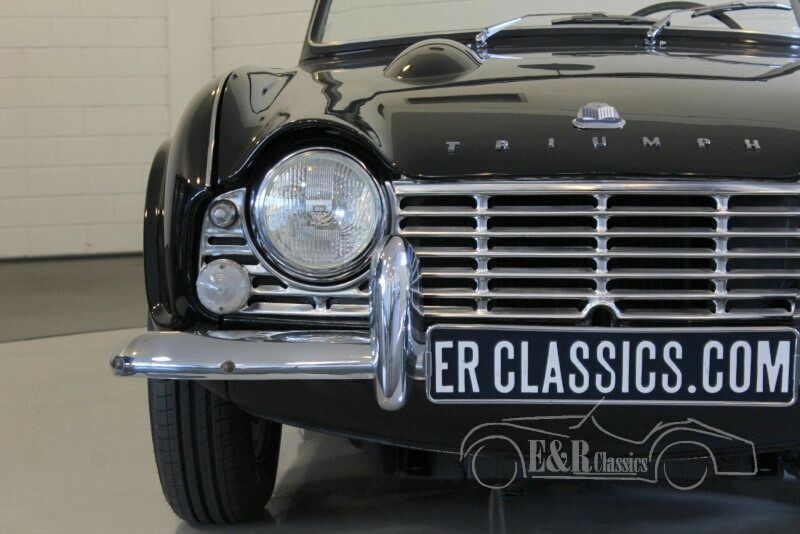 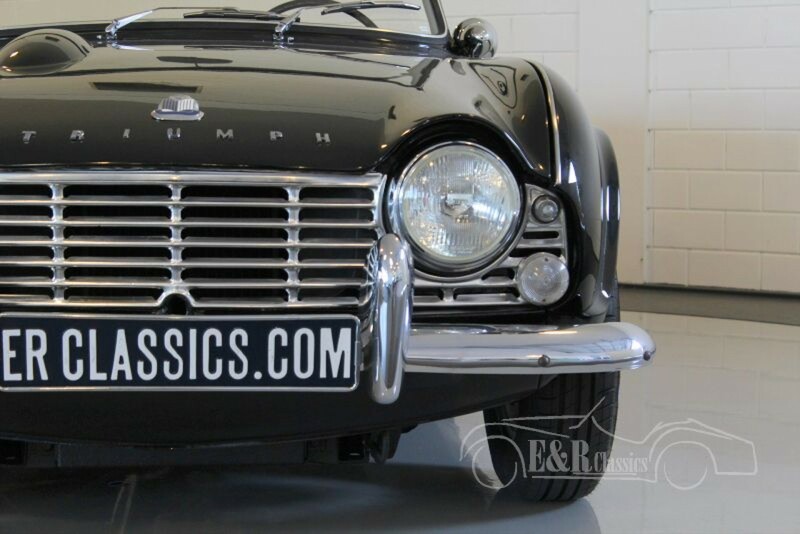 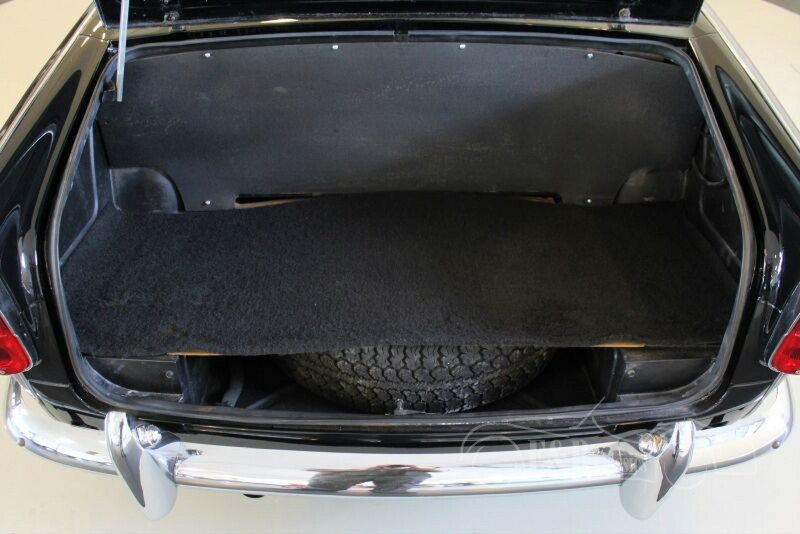 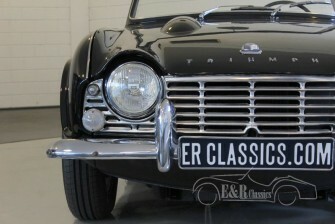 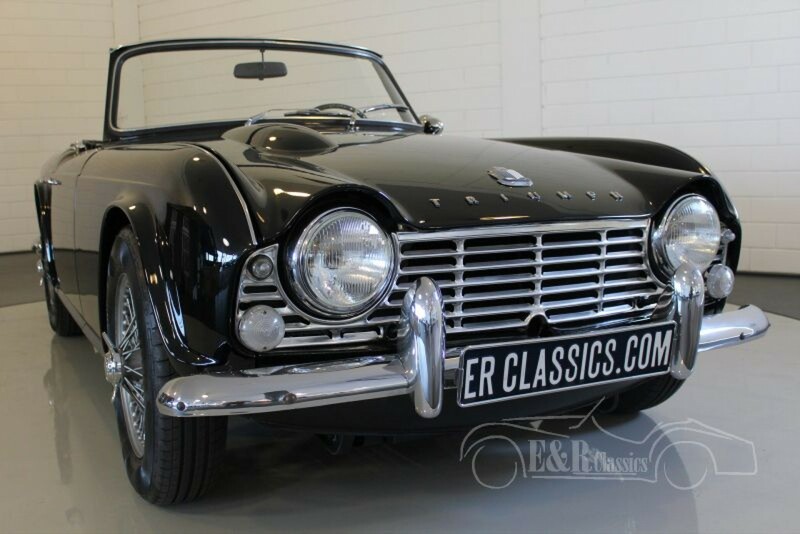 The TR4 guarantees a lot of driving fun.